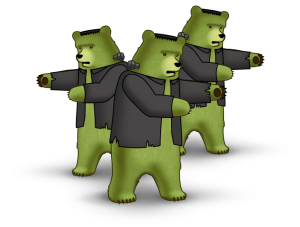 Popular (and easy to use) VPN provider “TunnelBear” is having a Halloween price reduction. If you regularly exhaust their basic ‘free’ offering and have been thinking of subscribing, you could pocket a saving upgrading today. 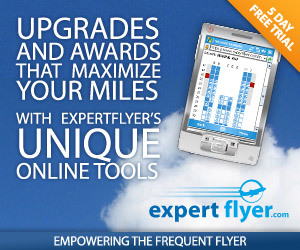 You can upgrade free account to a paid account when logged in on their website. What is a VPN? Why might I need “TunnelBear”? Many websites now ‘GeoIP’ block their content – to restrict access to people living in a specific country. For example the BBC iPlayer restricts access to people physically located in the UK. Additionally, some countries and network providers can block access to content that you would like to see (independent news sources, or perhaps their content filters don’t like seeing the word “Sussex”, etc). 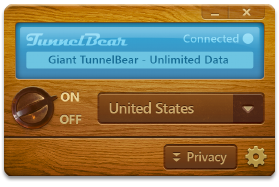 A “Virtual Private Network” (VPN) is an encrypted ‘tunnel’ across the internet, when you turn it on, as far as anyone monitoring your connection is concerned, all they can see if you connecting securely to TunnelBear – they can’t see what’s inside your tunnel. When your traffic reaches the end of the tunnel, it emerges onto the internet normally – so anyone looking at where you are accusing their content from will just see you emerge from the end of the tunnel – and you can choose tunnels ending in the UK, USA, Ireland, Canada, Australia, etc. Unlike virtually every other provider, TunnelBear combines ease of use with a generous free monthly allowance to try the service on an ongoing basis. When installed, you have a simple toggle switch on your desktop. It supports both Windows and Mac OSX, and also has easy operation on iPhones/iPads and Android devices. The free allowance of 500Mb per month is more than enough to do some basic web browsing, and you can get a further 1GB just for tweeting about them. However, if you start needing to download videos, or browser for extended periods, the relatively cheap paid version comes into its own. (And there is an even cheaper paid version if you only need it on iPads/iPhones rather than a desktop). There are monthly tariffs of 4.99 USD. And if you just fancy giving the free version a trial for a while, before comitting then they usually repeat this promotion on Valentines day (Feb 14th) – or at least they have done for the last few years. I was waiting for Valentines day, but I’ve just taken the plunge now as I do exhaust the free allowance. Yes, some do come come close on price, but few match on ease of use, and TunnelBears generous free allowance to try the service on an ongoing basis earns them a lot of brownie points. How much of the internet is blocked? Sadly more than you would expect. Some companies are paranoid about regulatory impact of marketing their services to people outside the UK (even though the person has chosen to access their site, and their is no obligation provide service to them. The ‘ThomsonLocal’ telephone directory blocks access to people outside of the UK and select other major countries because (and I quote directly from their staff member who I raised this with): “We find it is people outside the UK who lift and steal our content for other websites far more than people inside” – Well done, you’ve just given the sites that steal your content a reason to exist. And me a reason to use them, being outside the UK when I needed a local service provide in a regional area. O2 UK have been blocking their entire “shop.o2.co.uk” sub-domain from being accessed outside the UK because (and again, I quote verbatim from them) “We don’t sell to people outside the UK”. Well that stopped me guiding my sister through changing her mobile phone – well other than guiding her to ditch a company as stupid as O2!